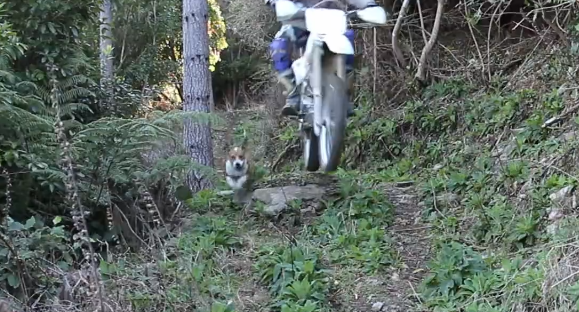 Sweep Dog knows exactly where to go on this steep slippery forest trail in New Zealand. 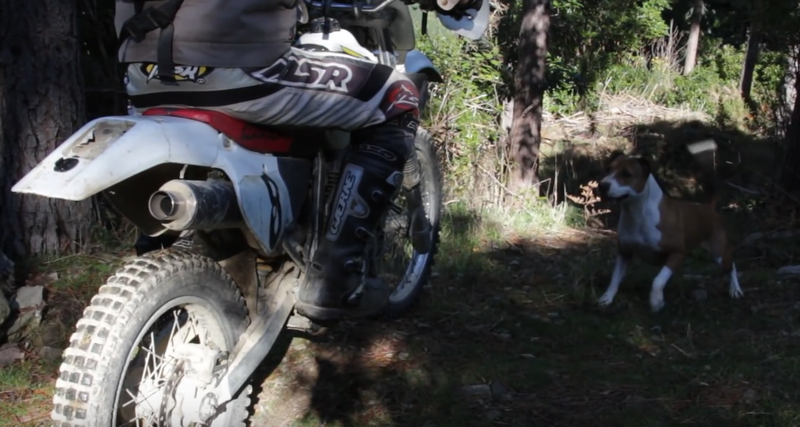 This trail dog knows how to play with bikes, and rip up the trail. She doesn’t seem phased at all by the bark of the XR400 four stroke and always holds her line. Don’t worry, she gets plenty of water to drink after the ride.